An American beer importer was taking a tour of Elgood’s Brewery, a long-established family brewery in the East Anglian town of Wisbech, here in the United Kingdom. Toward the end of the tour, upon entering a room, the importer blurted out, “You’ve got a coolship,” to head brewer Alan Pateman. The brewery did indeed have a coolship, a handsome set of double coolers used for cooling hopped wort until some time in the late 1990s (they were still in use in Roger Protz’s 1999 book, Country Ales and Breweries). “Why not produce a lambic?” continued the visitor, dazzled by the shallow, copper-faced twin trays installed in the 1920s. His words, uttered in 2013, set off a train of thought for Elgood’s that would eventually result in Coolship, a beer that is a complete contrast to the brewery’s usual products (bitter, mild, golden ale and variations on a theme—all exemplarily done). Coolship is a lambic style beer Pateman produced following the same methodology common in the Senne valley. The result is a tart and softly acidic beer, grapefruitlike in its embrace, daubed with a soft sweetness and gifted with hints of sherry. It’s a wonderful sour beer and just one of many now appearing in the U.K. If the landscape of U.S. beer has seen the concept of sours break across it with the urgency of a rider with the Pony Express, then the U.K. is also starting to saddle up for this mouth-puckering adventure. The past year or so has seen a variety of British breweries race into the world of sours. London has a good quotient of them, coming from the likes of Brodie’s Beers, Beavertown Brewery, The Kernel Brewery and Brew By Numbers, while further afield Wild Beer Co., Burning Sky Brewery and Magic Rock Brewing have also gone sour. Many are influenced by the U.S. new wave of sours as well as Belgian lambics, Berliner weisse and Leipziger Gose, though Beavertown owner Logan Plant looked to a more prosaic influence for Lemon Phantom Sour: “It was based on a love of that wonderful hangover cure, Lemon Fanta!” Meanwhile, on the production front, some opt for a sour mash and fermentation to promote quick Lactobacillus growth, while others take their time. For Tranter, time is an important ingredient, and his relatively young brewery (founded late 2013) is home to a growing population of wooden barrels, most of which once held wine. 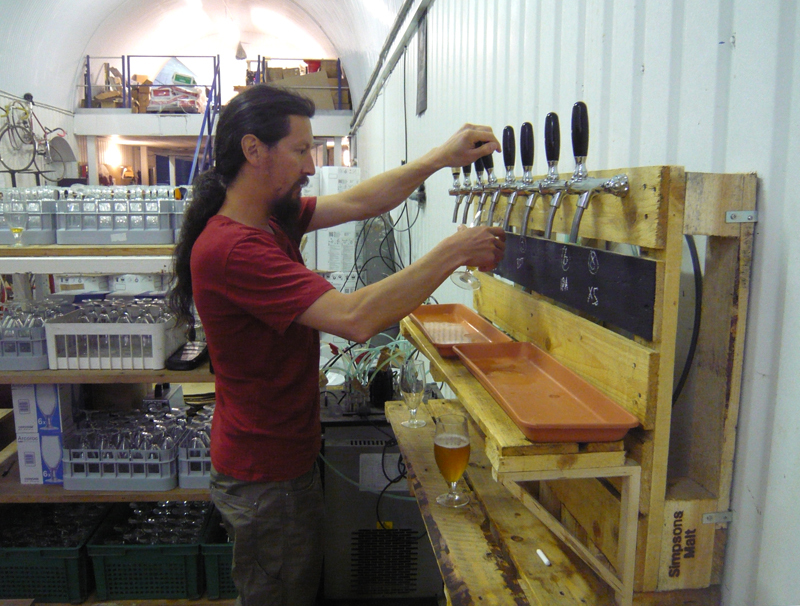 In these containers he has let sleep a diversity of beer styles, including saison, Flemish red ale and Monolith, the latter being described as a black beer with added Brettanomyces and Lactobacillus. 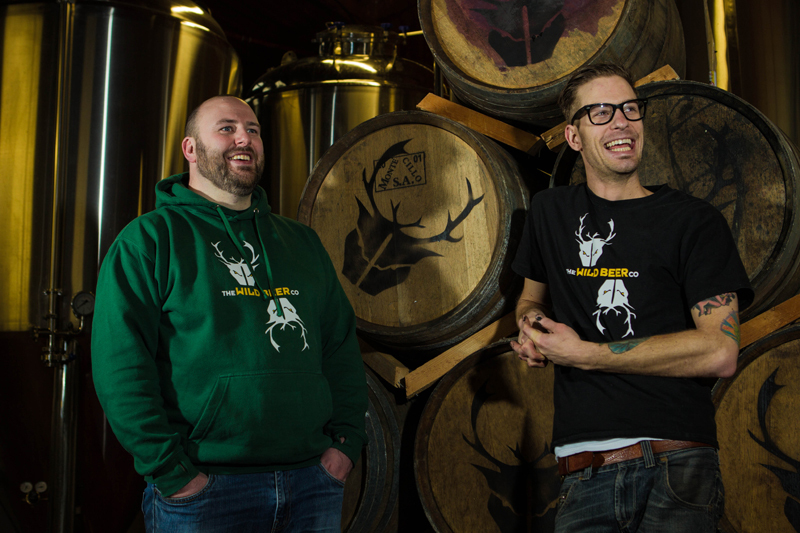 Over in the rural backwaters of east Somerset, we find Wild Beer Co., founded in 2012. Owners Andrew Cooper and Brett Ellis have also opted for time and wood as extra ingredients in the brew house; many of their beers are aged and blended. However, Cooper is also honest in saying that it will take time to break down drinkers’ prejudices against sour beers, though he then points out that plenty of top chefs are now putting a sour element, such as pickled vegetables, on the plate and that connecting the beer with this gastronomic phenomenon helps with understanding sour. So what’s behind this sour Brit explosion? Many new U.K. brewers are open-minded and curious in the way they approach their craft: new hops, more hops, different yeast strains, blends of yeast strains, specialty malts and plenty of bugs. The Berliner weisse style and the beers of Belgium are definite influences, as are U.S. sours. But if we return to the 19th century and the great porter breweries, we should remember that there was an element of sourness in the beers brewed and blended then. However, as was common with much British brewing in the 20th century, brewers forgot their past. They lost the art of aging beer, dismissed from their memories the theory and practice of blending as well as how to let the right microbes in and keep the bad ones out. In the last couple of decades this fog of forgetfulness has lifted and a rediscovery of the past emerged. The British sour movement is a mixture of time traveling, an absorption of influences from global beer cultures and a restless sense of exploration. It’s a good mix. One of the most acclaimed sours comes from London’s The Kernel. London Sour is its modern take on Berliner weisse: It is soured with lacto, then boiled and fermented with a saison strain (though more recently the brewers have avoided boiling and just brought the wort to pasteurization temperatures). The result is a refreshing, tart beer with a delicate hint of lemon. There have also been versions made with raspberries or sour cherries, and it’s been blended with Kernel’s saison, the latter being first aged in Burgundy wine barrels. 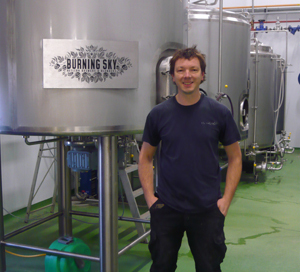 Adrian Tierney-Jones is a British beer and travel writer, editor of 1001 Beers You Must Taste Before You Die and co-author (with Roger Protz) of Britain’s Beer Revolution. He is looking forward to umami beers.